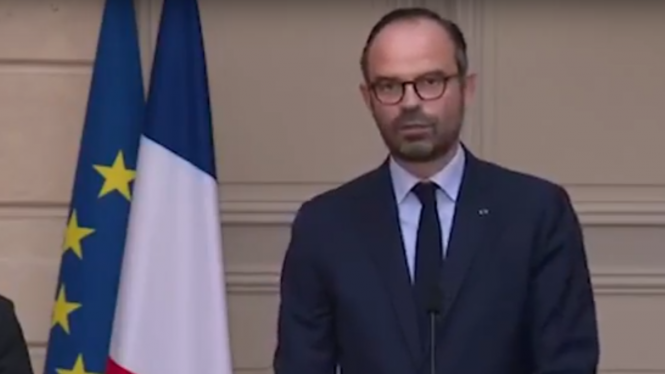 Pensions, family allowance and housing benefits will fall behind inflation as part of the French government's bid to reach EU deficit targets, while nearly 15,000 public sector jobs will be axed in the next two years, Prime Minister Edouard Philippe has revealed. Following the loss of 1,600 public-sector jobs this year, another 4,500 will disappear in 2019 next year and at least 10,000 the year after that, Mr Philippe told weekly newspaper Journal du Dimanche. During last year's election campaign, President Emmanuel Macron pledged to slash 120,000 public-service jobs during his term of office, including 50,000 from central government. Mr Philippe said that digital efficiencies and other savings have allowed authorities to speed up the efficiency drive. The Prime Minister said the government is sticking to its commitment to reduce the budget deficit to 2.3% of GDP this year, despite the fact that it now forecasts 1.7% growth instead of the 1.9% it had earlier predicted, hitting tax revenues. To compensate, Mr Philippe announced that retirement pensions, family allowance and housing benefit will rise 0.3% a year for the next two years, lower than the rate of inflation. But he promised to raise some other state benefits, such as top-ups for the low-paid and disability allowance. The Journal du Dimanche also reported that both Mr Philippe and Mr Macron have slid down the opinion polls over the summer. Only 34% of respondents are satisfied with the president's performance today, compared to 39% in July and 64% in June last year, an Ifop poll showed. Philippe had a 40% satisfaction rating, compared to 41% in July and 64% in June 2017.